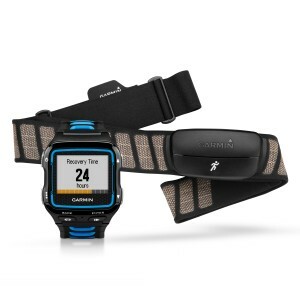 Garmin announced the Forerunner 920XT on October 1st. A still I grabbed from a YouTube video. As you can see the Garmin 920 Looks like a normal watch in size. In weight and size I could have expected this, and the new ForeRunner 920XT is a lot smaller. It’s a whopping 25% smaller and 15% lighter than the 910XT! The design is made wetsuit friendly so you can easily peel off your wetsuit when wearing it. The new Forerunner 920XT has a way, way, way better battery life then it’s predecessor, with up to 40 hours in UltraTrac mode; up to 24 hours in training mode; up to 4 months in watch mode. 4 months!! You can pair it with your phone via Bluetooth to get smart reports on incoming text messages, e-mails, calls, or calendar reminders, hopefully this is disabled (or a setting) during exercises as it would just be distracting. But moreover, your friends and family can see your activities LIVE! As you can also see in the video, your friends and family can send little encouragements and your training buddies can trash talk you all the way home. 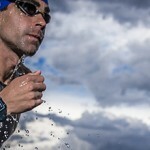 For heart rate monitoring, the 920XT still uses the trusted heart rate chest strap, this does rule out tracking heart rate during swimming as that seems to be only something Suunto has covered. The reason for the HRM chest strap is that a wrist HRM (like the TomTom MultiSport Cardio) can not measure HRV. HRV is a way to measure the stress on your heart, and thus is a good indicator on how hard you actually worked. As heart rates are not comparable, this added information allows the 920XT to give you a good indication on the effectiveness of your training and recommended recovery time. When you have a power meter (like the Garmin Vector) and a heart rate monitor connected the ForeRunner 920XT can derive your VO2 max on the bike. For running all you need is the HRM. A colored gage will indicate your level compared to other athletes in your age group. Now this can be interesting or diminishing when you’re a rookie. But certainly is a nice way to see if you are improving. The Forerunner 920XT with its new heart rate monitor. 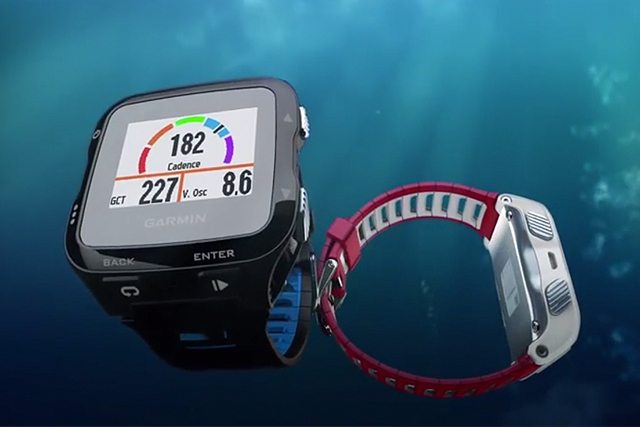 For Swimming the Garmin ForeRunner 920XT now supports drills in and kick drills in your swim sets. Besides this it has a handy rest feature to help you to push off for your next set of lanes during your swim sessions. On the bike there are no real surprises, as you can read above, the new feature is a VO2 Max estimation. But other than that, nothing that really stands out. The VIRB control is a nice feature when you have your camera mounted backwards. So you can start recording without stopping or doing bike acrobatics. For running the 920 comes with a set of very nice and new features we’ve seen in the Forerunner 620 and the Fenix 2. When you pair the 920XT with a HRM it allows the 920XT to report your running cadence, vertical oscillation (amount of “bounce” in your step) and ground contact time (how much time your foot spends on the ground during each step, see a video here on how to improve). 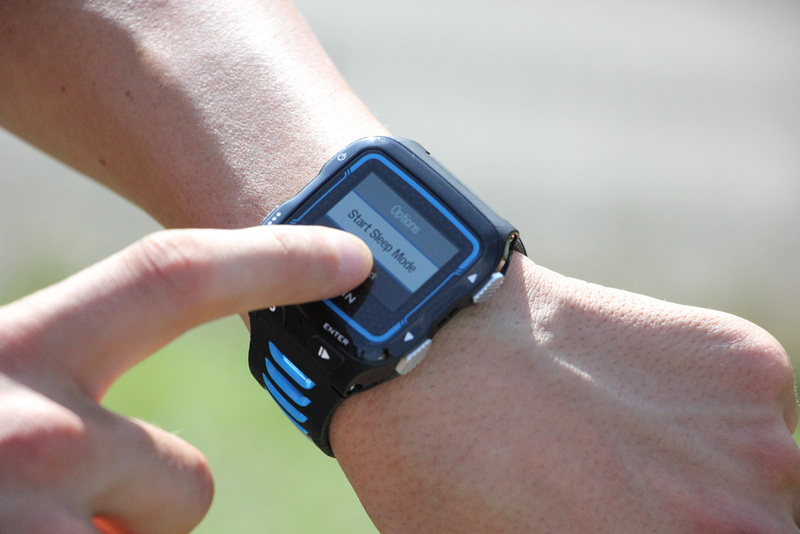 The 920XT also has a metronome feature with vibe and sound alerts to guide your cadence training. Garmin Connect MultiSport is now one activity. 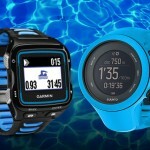 With the introduction of the 920XT Garmin has also rolled out an update on Garmin Connect, mostly targeted at the triathlon audience. This change allows you to see a multisport activity in one overview. This is a huge improvement from the separate activities in your list and will give you a total time too. And for everybody who is already using a 910XT, 310XT or Fenix 2 it becomes available too. Furthermore, when using Wi-Fi or a paired Bluetooth phone the 920XT will automatically sync your workouts to Garmin Connect. No longer hassling with ant+ sticks, TXC files and all that stuff. Setup automatic imports in Strava and you don’t even have to touch that laptop anymore. You can now use your watch to start your VIRB Camera, this means you can mount your VIRB Camera on your bike facing backwards and control recording or taking a snapshot using your 920XT as a remote. These prices are of local stores where available. 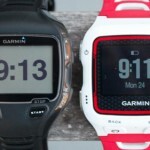 I’ve taken all the details of the Garmin 920XT and compared them to the flagship watches of the Polar V800, the Suunto Ambit3 and the TomTom MultiSport Cardio. You can find my comparison with the Polar V800 here, the Suunto Ambit3 here and the TomTom MultiSport Cardio here.